It begins with an airstrike on a Taliban compound where new biological weapons are being stored. The initial response to the strike is unabashed joy, finally the US military has taken out some of the top members of the Taliban, certainly now that the leadership is dead, the group will fall apart. Soon, though, the allegedly dead Taliban are ravishing villages, storming US military compounds. Shooting them does nothing, nor does attempting to blow them up, and anyone they bite or scratch gets terribly sick and begins acting in the same mad way. Thanks to the soldiers who are on their way home, and the ones who are taken out of country for medical care, the epidemic begins to spread throughout the world, although it seems to be worst in the Middle East. It is against this backdrop that our unlikely band of protagonists comes together in India. They include a Navy SEAL, an aging romance author, a teenage boy who has lost his family, and a teenage girl with her toddler brother in tow. During an attack by the “biters,” as they are being called, it becomes evident that the young boy is somehow immune to these strange zombies, a discovery that provides hope to survivors and enrages the creatures at the same time. Suddenly, there is more at stake that minute-to-minute survival, the fate of the human race may lie with a little boy obsessed with Disney. 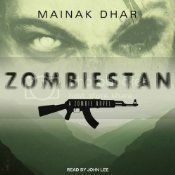 With Zombiestan, Dhar introduces a new an interesting twist to the classic zombie story. Unlike most zombies, Dhar’s biters move quickly, possess rudimentary group memories from the original Taliban victims, and even seem capable of learning. 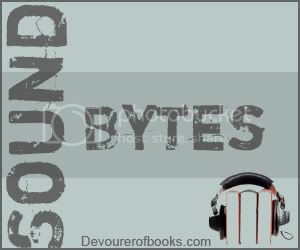 These deviations from classic zombie lore kept Zombiestan fresh, aided by the quick pace and the engaging plot. The men were better developed than the women as characters, but the women still formed an integral part of the plot, and were able to play a significant role in the group’s quest to get to someone who could do something with the possibility of immunity. Zombiestan is very engaging, and incredibly easy to get caught up in. Ah, John Lee. I haven’t listened to very many things he has narrated, so I tend to forget just how amazing he is; after all, he did manage to keep me grounded during The City & The City. In Zombiestan, he shows his exceptional talent with accents. Lee himself is British, and narrated the book as such, which works for something set in the Middle East and India. However, he had a variety of accents to cover among the different characters, primarily Indian and American. The main characters occasionally came into contact with others from the region, and Lee managed to switch voices and accents with a seemingly effortless flair. Zombiestan is a captivating and unique zombie story, which is truly brought to its fullest potential by John Lee’s expert narration. Very highly recommended. R has always been a bit different than his zombie friends – if you can call them that – trying harder than most of them to hang onto his pre-zombie identity. So, perhaps it makes sense that it was R who managed to take in and keep the memories of a dying boy at the same moment that he was feasting upon his brains. R’s victim was in love with a girl named Julie, a girl who was in the same room, under the same attack, but somehow R manages to save her, and even bring him home with her. Back in the presence of the living in a non-predatory role, R begins to become more sentient, and even win Julie’s affections. How can their love survive, though, when zombies and the living are the most deadly of enemies? The writing is lyrical and smart, including literary references to Melville and the Epic of Gilgamesh, not to mention the fact that the whole thing is essentially a post-apocalyptic version of Romeo and Juliet (R and Julie). Part of what is so interesting about Warm Bodies is that the Romeo and Juliet aspect is so subtle. Once you are alerted to it, it becomes obvious – what two groups could be more diametrically opposed than zombies and the living? – but Marion makes the story his own, instead of simply sticking to the story laid down for him by Shakespeare. I will admit, I was very skeptical about the idea of a sentient, loving zombie, as that seemed to be the antithesis of all things zombie, but Marion makes it work beautifully. 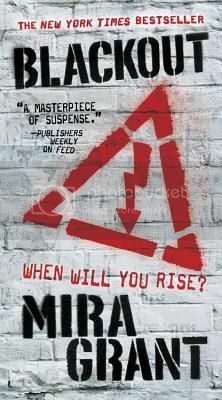 Not that there aren’t times where the improbablity of R’s character – even accepting the existence of zombies – can frustrate, but the story and the writing pull the reader through those times.